After a few months of waiting due to it being on back order i received the product The logs are not like the picture. Also the burn time is only 1 hour if that form the canisters. I was told that the burn time would get better after a few burns. So as instructed i used a bottle per burn. it was still one hour burn time . ( the bottles are not cheap in price) There was not a lot of instructions in the manual which was different from the product. Also when calling the number they never answer. they seem to only communicate via email. This is sad because when the fire is lit it does not look half bad. I wanted to love this product. But sadly.... This set is seriously TINY! The bottom logs do NOT look like the picture. There is no way other reviewers actually thought they were real logs (“had to smell them”? Really? They feel ceramic!). The fire looks good. But the set itself almost looks like a toy. But I don’t want to pay almost $600 for the larger set. Why in the world would that set cost so much? For that matter, this set isn’t worth $200. The instructions that came with it are for a different product - the fireplace grate insert. So that’s a problem too. You can also see the two cans underneath the grate so that’s another way this product cannot be mistaken for a real log fire. I’m wondering if the other reviews are real! 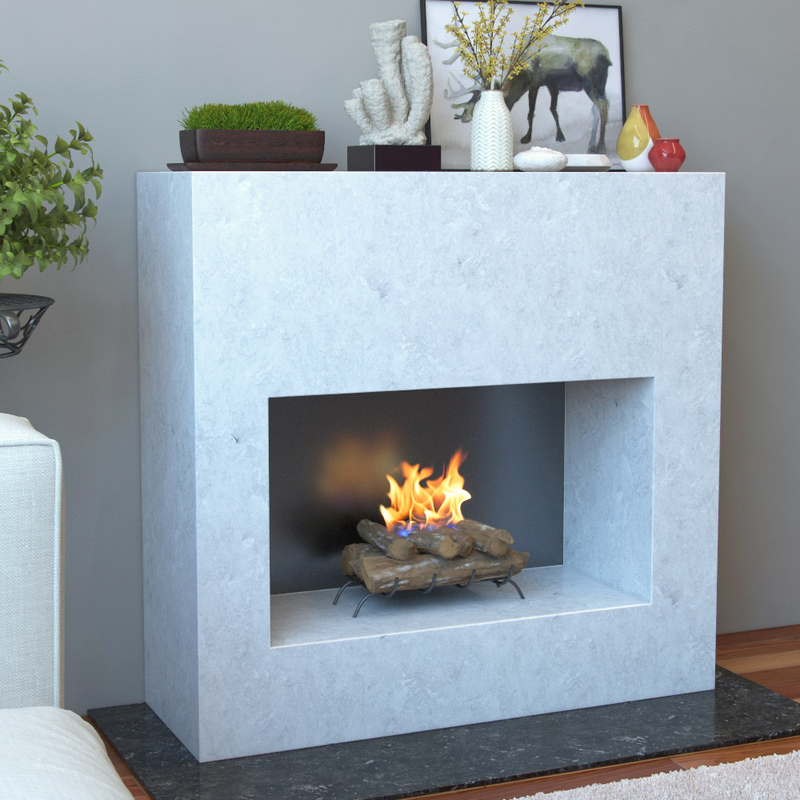 If you have a small fireplace, then maybe go for it! It’s warm and the flames are good. 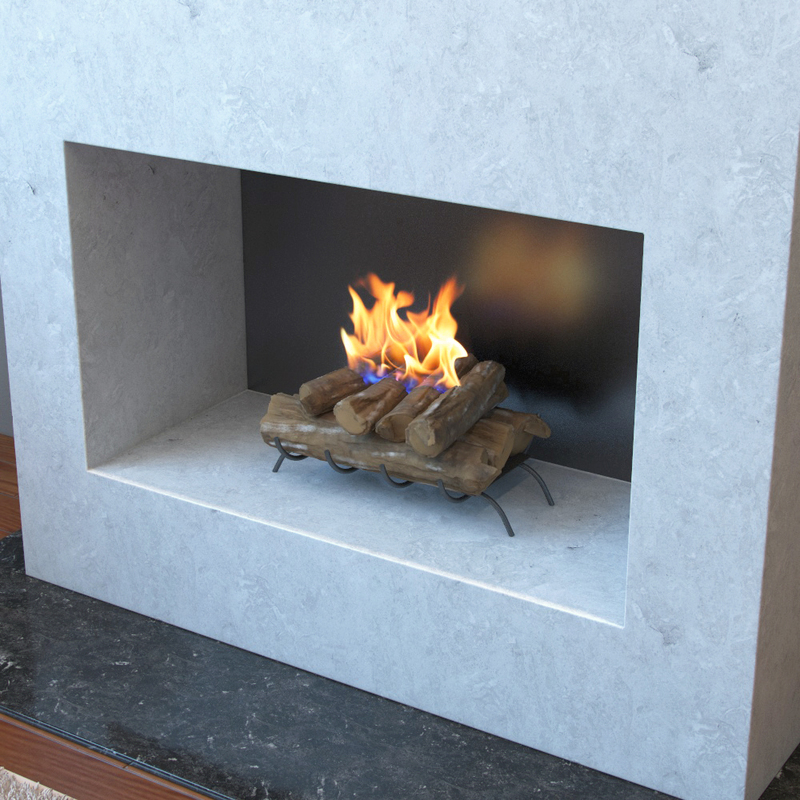 But if your fireplace is that small, you’ll have to be pretty close to the fire to enjoy it, and the closer you get, the more obvious it is that it is fake. I was so excited about this, but when it arrived, there were several issues (actually noted by another reviewer earlier today). First, the instructions that were included were for the wrong product. Second, the logs that were included looked nothing like those in the pictures and were VERY small. Small enough that I’m having to go buy additional logs to supplement. Lastly, the fuel canisters show very clearly under the logs as they sit on the ground and the grate has no front. I’m also now having to buy rocks to go under the grate to cover the canisters. All in all, it won’t be quite the “deal” I thought it was once I’m done purchasing additional items. Had a seen an accurate description up front, I would not have purchased. very impressed with price and design! 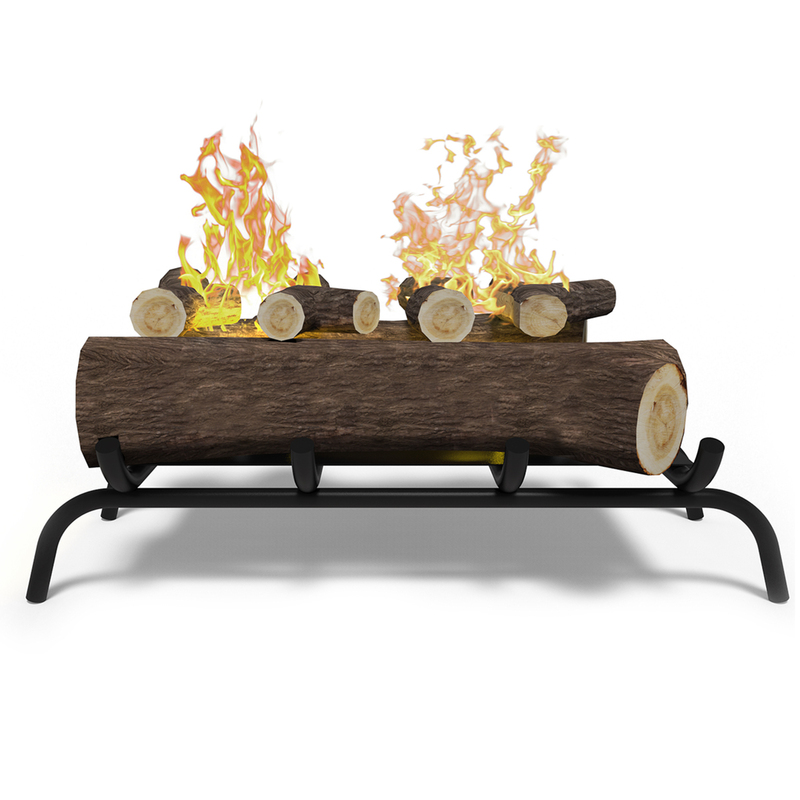 This set of ceramic logs are as good as it gets! They are beautifully finished and even up close, can fool someone into thinking that they are burning — there's a fire in there! 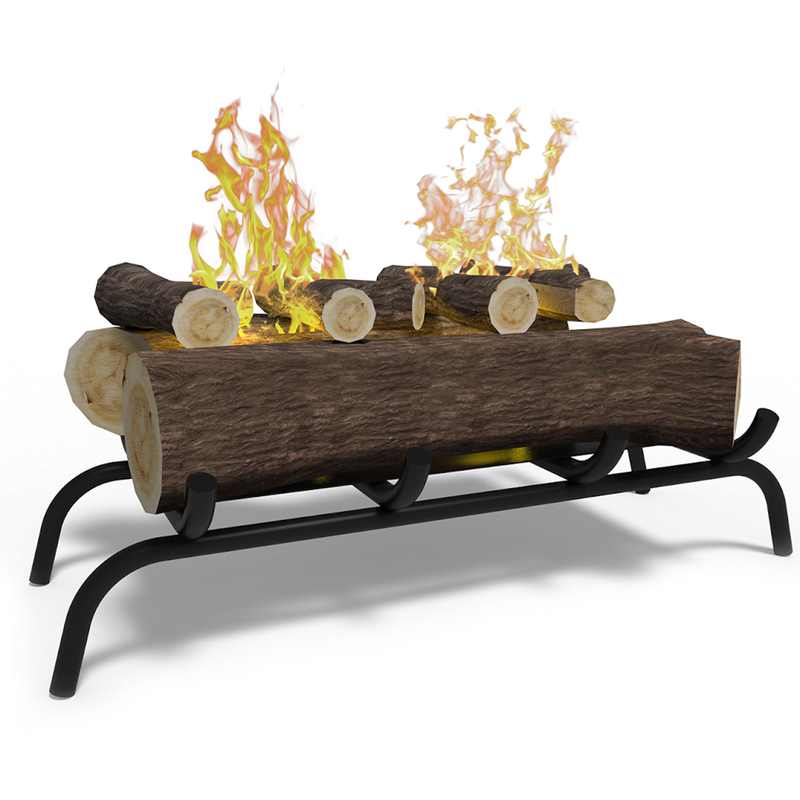 Logs are a great replica of real wood! So far so good. These were exactly what I purchased from a local store at $400 (which I will be returning), but at a much better price. I can't beat this price and quality of the product. I might purchase a second set just to make it look like a larger pile. I would definitely recommend this product!